Engage.Shape.Build. events are a series of public input meetings conducted throughout the year to Engage with citizens, Shape town policies, and Build rapport with the community. Public input meetings have been a cornerstone of policymaking in Bennett for decades. 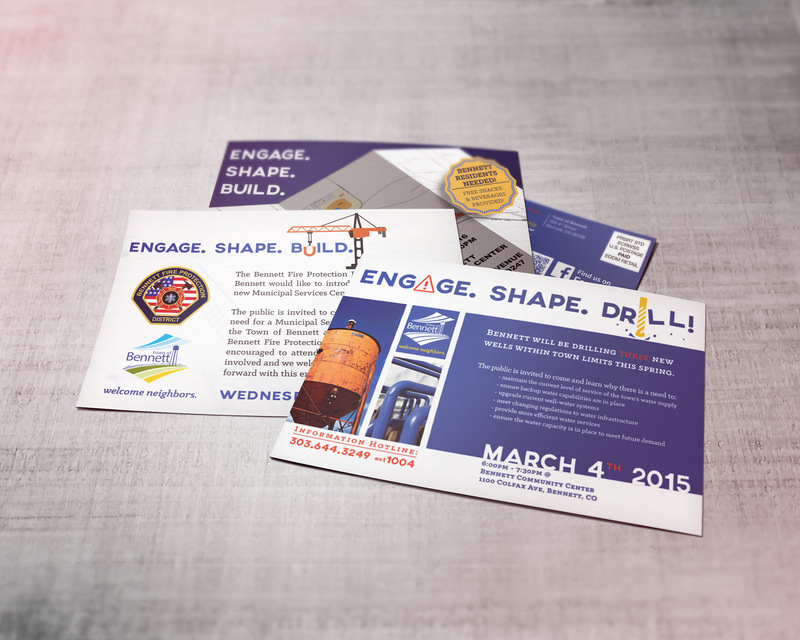 Engage.Shape.Build evolved out of the traditional public meeting format in an effort to garner more participation and public input in the decision-making process. Residents were interviewed as they arrived at the meeting to determine how they head learned of the eventSurveys were conducted at the beginning of the events to determine how individual citizens learned of each meeting, and the bulk-mail postcards were consistently listed as the primary means of notification.